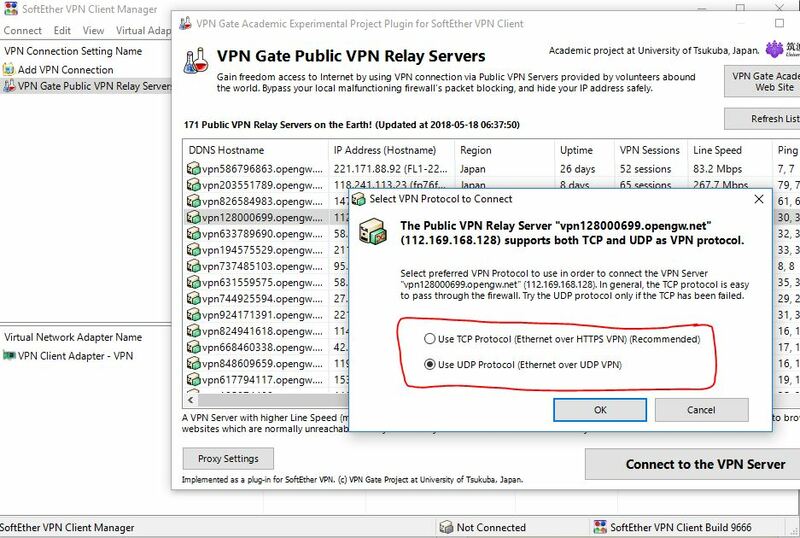 I installed latest version of (SoftEther VPN client + VPN gate plugin). I use win 10.
when I want to connect with TCP mode immediately error code 2 appears. "Error (Error Code 2) Protocol error occurred. Error was returned from the destination server."